The British Virgin Islands has long been synonymous with its hosting of a number of FX companies, the majority of which were unregulated by any financial markets regulator, and had their entire operations based in different countries. 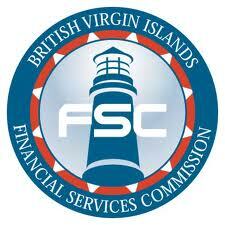 Subsequent to the recent implementation of a regulatory structure which allows overseas FX firms to become regulated by the British Virgin Islands Financial Services Commission and operate under the auspices of a regulatory authority rather than the previous situation which involved having a registration certificate, the latest FX company to receive such a license is AvaTrade, having been issued with the regulatory approval yesterday. During recent times, AvaTrade has maintained an interest in accessing different global markets via regulatory approval in various jurisdictions including Australia, Ireland and Japan. The company also has operations in Israel, which will be subject to the Israel Securities Authority (ISA)’s strict regulatory reform this year, posing the question as to whether the business will remain viable in the financially strong nation. Last month, Oren Eldad, CEO of AvaTrade in Israel spoke to Forex Magnates to relay his take on the potential new rulings, as he began working with the ISA on consultation regarding the implementation since 2008, one year after his appointment as CEO of the firm. Mr. Eldad explained to Forex Magnates that he is “happy to say that a lot of our remarks have been accepted by the ISA but yet there are some problematic issues which we are still in dialog with them over”. As a contrast to this perspective, another senior executive of a retail broker in Israel who wishes to maintain anonymity sees this as a “death punch to the entire FX industry in Israel”, and that all non-bank FX in Israel could end up not economically viable for such companies. The regulatory authorities around the world are increasing their requirements, and in doing so ensuring that all participants are under constant surveillance. Britain’s Financial Conduct Authority, the US National Futures Association, and Australia’s ASIC are prime examples of national regulators which are going more than the extra mile and in doing so increasing the cost of operating as well as the likelihood of being penalized for transgressions of the ever growing list of rules. Until recently, companies were able to register in New Zealand and base their operations in other regions with no physical operations. This has now come to an end, and the regulator terminated the registration of a large number of entities which did not have facilities including a compliance department in New Zealand, and established a full set of procedures for enforcement under the Financial Markets Authority’s mandate. The British Virgin Islands, although offering regulated status, currently still allows firms to be entirely based overseas. Trevor Clein, Compliance Director MLRO at Delta Financial Markets in London today explained this in detail to Forex Magnates: “At the outset, before regulated status was offered, a lot of FX companies had a Post Office box in the British Virgin Island, and a lawyer that would act on their behalf”. One of the first companies to gain regulated status via the British Virgin Islands FSC was Gallant Capital Markets, which offers retail trading via its proprietary GCMPro platform provided by FX Bridge, and has held the license since 2010.